January eLearning "Solid State Lighting"
January Section Meeting: "LED Lighting: Innovation in the Marketplace"
Meeting: eLearning Course on Basics of Solid State Lighting, details at this link. Talk: This course presents an introduction as well as reference materials for professionals working in solid-state lighting. 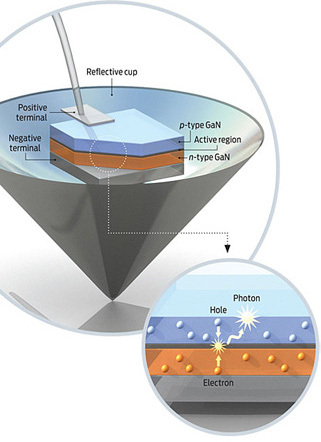 Course materials include the operating principles, device physics, fabrication, and applications of light-emitting diodes. Course materials also include a detailed discussion of daylight illumination sources, planckian sources, human vision, eye sensitivity, photometric and radiometric quantities, and color rendering capabilities of light sources. Appetizers and Beverages will be served Free of Charge. December Entrepreneur and Consultant's Network: Tom Kaminski presented an interesting talk from a quick review of Digital Signal Processing to the use of inexpensive USB-connected Software Defined Radio devices running on inexpensive System-on-a-Chip microprocessors. The USB devices, based on a DVB-T Digital Broadcast TV receivers used in most of the world (outside of the US), cost as little as $12 and implement an RF amplifier, converter, and In-Phase and Quadrature digitizer that works up to 2.5 Mega Samples per Second (8-bits for each of I and Q). 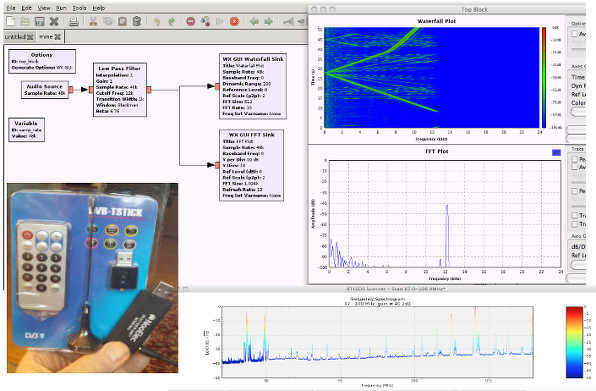 Tom demonstrated the use of Open-Sourced SDR, such as GNUradio Companion, on his laptop and on both the RaspberryPi and BeagleBone Black SoCs. Tom has provided this link of the slides he presented. 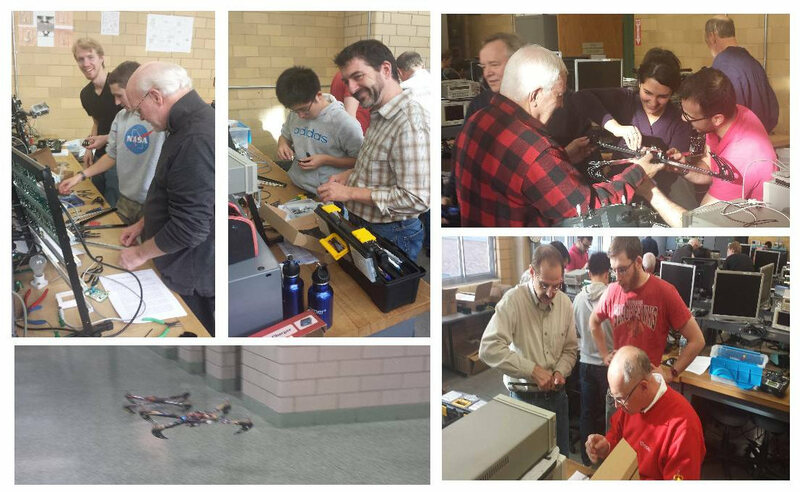 December "Hands On Drones" Workshop: The workshop was attended by a mix of IEEE members, Student Members, and the general public and successfully assembled, programmed, and flew four quad-rotor drones. The workshop covered all of the basics required to understand how to build and fly emerging UAV (Unmanned Aeronautical Vehicle) systems. The vehicles built were then donated to the UW-Madison Student IEEE branch for future drone-based projects. It was held at UW-Madison College of Engineering, Engineering Hall Room 1438. Student Branch members Alex Gabourie, Alex Kocher, and Ahmed Saif helped teach the Hands-On portion and worked to install the needed software on both PCs in the room and on the RC Transmitters. December Section Meeting: I apologize for not getting out an eNotice for the Volunteer Appreciation Event held at Brocach on the square. The notice was not sent due to a miscommunication. It was posted as a vtools Meeting notice, however. Sixteen people attended and had a good time. 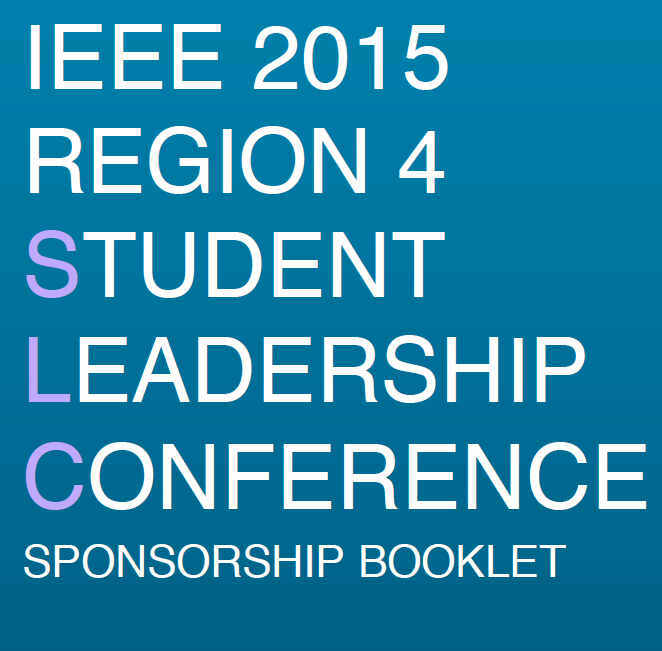 Thanks to all of the Volunteers working for the IEEE-Madison Section. January Section Meeting: Scott Olsen, IEEE-Madison's new Industrial Outreach Chair, has planned a new type of event where we hold an event of current interest to our members at a local Industry. 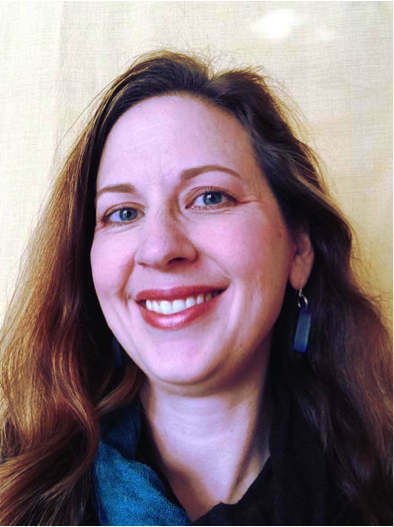 The event will be held at Electronic Theater Controls in Middleton and will feature a presentation by a Ingrid McMasters, a lighting designer by trade. She has worked on all types of interior and exterior lighting in commercial and residential projects over the past 19 years. She is a true lighting geek and is a past president and program chair for the Illuminating Engineering Society - Madison Section. She is Lighting Certified through the National Council on Qualifications for the Lighting Professions (NCQLP) and currently serves as the NCQLP Test Committee chairperson. The event will also feature a tour of ETC that I am told is a quite an exceptional facility. It also showcases many of the advanced lighting controls at its facility. NOTE: This is an evening meeting. I hope you all can make it. eLearning Course for January: This month's topic is on Solid State Lighting (going with the theme of our Section Meeting) and will be held at the ACS, Inc. Middleton Facility. Thanks again, ACS for supporting this event. CEU/PDH credits are awarded upon completing a survey form at the end of the course. Life Member Affinity Group: We were able to easily get the required 6 signatures on a petition and approval of the Life Member Chair of the IEEE and Region 4 and Madison Section Chairs for starting a Life Member Affinity Group. As of the December 21st, 2014 the IEEE-Madison Section now has an official Life Member Affinity group. Please get in touch with Tom Kaminski via email to tjkaminski(at)ieee.org if you are willing to help organize the Life Member Affinity Group. 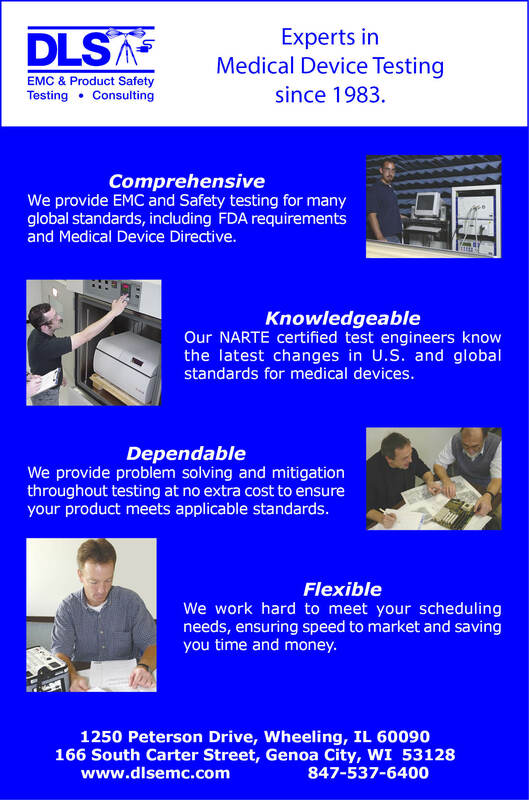 We would like to schedule the first organizing meeting in January, 2015.